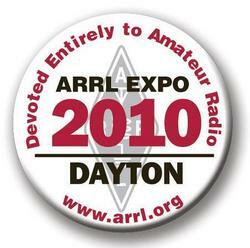 ARRL Membership and Volunteer Programs Manager Dave Patton, NN1N, reports that plans for a plethora of DX activities at the ARRL EXPO -- part of the 2010 Dayton Hamvention -- are wrapping up. 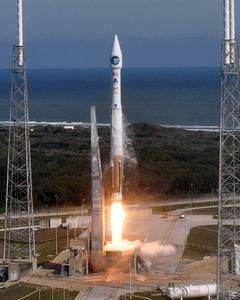 "We are excited about the activities that will be taking place," he said. "Visitors to the EXPO will see a lot of activities relating to DX, including DXCC card checking, a chance to drop off QSL cards for the ARRL Outgoing QSL bureau and even an expanded International Amateur Radio Union (IARU) area." The Dayton Hamvention will take place May 14-16 at Hara Arena, located near Dayton, Ohio. Read more here. 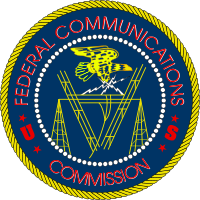 The FCC is seeking comments regarding its proposal to amend 97.113(a)(3) of the Amateur Radio rules. The deadline to file comments is May 5, 2010. Read the NPRM here. In March, the FCC released a Notice of Proposed Rulemaking (NPRM) (Docket #10-72) that proposed to amend the Part 97 rules -- specifically 97.113(a)(3) -- governing the Amateur Radio Service. The new rules would provide that, under certain limited conditions, Amateur Radio operators may transmit messages during emergency and disaster preparedness drills, regardless of whether the operators are employees of entities participating in the drill. On April 22, a summary of the NPRM was published in the Federal Register and the FCC is seeking comments on it. Comments must be filed on or before May 24, 2010 (30 days after publication in the Federal Register); reply comments must be filed on or before June 7, 2010 (45 days after publication in the Federal Register). Instructions on how to file comments are listed beginning on page 5 of the NPRM. Last week, two more Congressional Representatives -- Greg Walden, W7EQI (R-OR-2) and Jeff Fortenberry (R-NE-1) -- pledged their support for HR 2160, The Amateur Radio Emergency Communications Enhancement Act of 2009, bringing the total number of cosponsors to 39, including original sponsor Sheila Jackson-Lee (D-TX-18). HR 2160 is also sponsored by W. Todd Akin (R-MO-2), Michael Arcuri (D-NY-24), Roscoe Bartlett (R-MD-6), Jo Bonner, (R-AL-1), John Boozman (R-AR-3), Madeleine Bordallo (D-Guam), AndrÃ© Carson (D-IN-7), Geoff Davis (R-KY-4), Bob Filner (D-CA-51), Scott Garrett (R-NJ-5), Bart Gordon (D-TN-6), Brett Guthrie (R-KY-02), Maurice Hinchey (D-NY-22), Michael Honda (D-CA-15), Mary Jo Kilroy (D-OH-15), Ron Klein, (D-FL-22), Tom Latham (R-IA-4), Zoe Lofgren (D-CA-16), Blaine Luetkemeyer (R-MO-9), Thaddeus McCotter (R-MI-11), Michael E. McMahon, (D-NY-13), Cathy McMorris Rodgers, (R-WA-5), Charlie Melancon (D-LA-3), Candice Miller (R-MI-10), Dennis Moore (D-KS-3), John Olver (D-MA-1), Bill Posey (R-FL-15), Denny Rehberg, (R-MT), Dana Rohrabacher (R-CA-46), Aaron Schock, (R-IL-18), Bennie Thompson (D-MS-2), Michael Turner (R-OH-3), Peter Welch (D-VT), David Wu (D-OR-1), C.W. Bill Young (R-FL-10) and Don Young (R-AK). On the Senate side of Capitol Hill, S 1755 -- also called The Amateur Radio Emergency Communications Enhancement Act of 2009 -- cleared the Senate by unanimous consent in December 2009 and now sits in the House Committee on Energy and Commerce. Click here for information on how to encourage your Congressional representative to sponsor HR 2160. Andy Anderson, AE5EA, of Placitas, New Mexico, has an old three band, three element quad that was built by a company no longer in business. This quad was designed to be fed with coax to a 1:1 balun. Andy told the ARRL's Doctor that he plans on putting the quad back up and was wondering if he can feed it with 450 Î© window line to avoid the loss in over 180 feet of coax. There are two approaches that should work with the window line (assuming the feedpoint's impedance is 50 Î© -- a quad is typically a bit higher). Feed the driven element directly with the window line. At the station, you will then need a wide range antenna tuner that can match balanced loads. This could be a regular unbalanced one with a balun on the output. Note that the impedance will be neither 50 nor 450 Î©, but will vary widely due to the transformation through the mismatched line, which will be different on every band. The 9:1 SWR with 180 feet of typical window line will result a bit less than 1 dB loss at 28.5 MHz and 0.67 dB on 14 MHz. Use a 9:1 balun at each end of the window line. You may want to use coax (with a coil choke) from the antenna to below the rotator. Then attach a balun (waterproof units are available or you can build your own). Run the window line to (or near to) the station and use another 9:1 balun and coax to the radio. The two baluns combined will have less than 1 dB loss. The matched window line will have 0.2 dB additional loss on 14, 0.26 dB on 28 MHz. Â· Use a 9:1 balun at each end of the window line. You may want to use coax (with a coil choke) from the antenna to below the rotator. Then attach a balun (waterproof units are available or you can build your own). Run the window line to (or near to) the station and use another 9:1 balun and coax to the radio. The two baluns combined will have less than 1 dB loss. The matched window line will have 0.2 dB additional loss on 14, 0.26 dB on 28 MHz. Another thought is to use really good coax. 180 feet of LMR 400 or Belden 9913 coax, for example (both fit standard UHF connectors), will have a matched loss of 1.2 dB at 28.5 MHz, but only 0.8 dB on 20 meters. While not cheap, it probably will cost less than the window line plus two baluns. A section of special "LMR Flex 400" can be used around the rotator. The performance differences among the various approaches are small. If I were starting from scratch, I think I'd go with low loss coax, based on simplicity and ease of operation. Thanks Doctor! Do you have a question or a problem? Send your questions via e-mail or to "The Doctor," ARRL, 225 Main St, Newington, CT 06111 (no phone calls, please). Look for "The Doctor Is IN" every month in QST , the official journal of the ARRL. A link to your Section News is located right underneath the "Edit Your Profile" link at the top of the page. Just click on "Section News" and you will be directed to the appropriate page. This link is only available on the home page of the site. Users no longer have to log in each time they access the Web site. The site now remembers your log-in information and you will automatically be logged in on each visit. The DXCC standings and Honor Roll, DXCC application and the DXCC order form are now available online. You can now register hamfests and conventions on the Web site. Find an Amateur Radio licensing class or an exam session near you. In earlier versions of the Exam Session Locator Service, all exam sessions were listed as "no walk-ins." This has now been fixed. An amateur's current license class is now listed in the Call Sign Search. Extraneous numbers in the amateur's FRN have also been removed. To access your Section News, click the link located just below the "Edit Your Profile" link. "With a Web site as large as the ARRL's, we are constantly making improvements and changes," said ARRL Chief Operating Officer Harold Kramer, WJ1B. "We have received a lot of feedback from members and are trying to implement many of these ideas. One of our main goals at the moment is optimizing the club search function. We also understand that the Web site search function is not as functional as we would like. In time, once the Google engines crawl through the site and catalog it, the search function should greatly improve. We appreciate your patience and understanding as we work through the issues." The May/June issue of NCJ, The National Contest Journal, is filled with the latest news from the contesting world. Whether you are new to contesting or are a seasoned pro -- or somewhere in the middle -- you will find something in NCJ just for you. 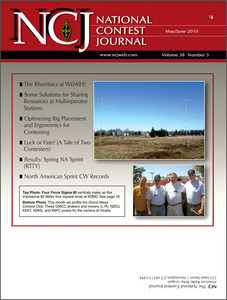 In addition to the contest-related articles, there are all the regular columns and features you expect from NCJ: "Workshop Chronicles" by Don Daso, K4ZA; "Contest Tips, Tricks and Techniques" by Gary Sutcliffe, W9XT; "VHF-UHF Contesting" by Jon Jones, N0JK; "RTTY Contesting" by Don Hill, AA5AU; "Propagation" by Carl Luetzelschwab, K9LA; "Contesting on a Budget" by Ralph Bellas, K9ZO; "Software for Contesters" by Pete Smith, N4ZR, and "Contesting 101 "by Kirk Pickering, K4RO. NCJ is published six times a year by the ARRL; it is edited by Al Dewey, K0AD. NCJ is what every contester needs in their shack -- subscribe today! Read more here. Tad "The sunlight struck them with an ever-varying rainbow bloom as they moved" Cook, K7RA, reports: After 13 days of no sunspots, new region 1063 appeared late on Wednesday, April 28. Unknown at this point (early Thursday) is how strong or fast-growing this new sunspot region will be. Earlier region 1062 was only with us for three days, April 12-14. Look for more information on the ARRL Web site on Friday, April 30, including some e-mails about the European ash cloud and the possibility that 72 MHz propagation was depressed because no aircraft were in the sky. For more information concerning radio propagation, visit the ARRL Technical Information Service Propagation page. This week's "Tad Cookism" brought to you by Sir Arthur Conan Doyle's The Lost World (Chapter 15). This week the Microwave Spring Sprint (local time) and the AGCW QRP/QRP Party are May 1. The 10-10 International Spring Contest (Digital), the 7th Call Area QSO Party, the Indiana QSO Party, the ARI International DX Contest and the New England QSO Party are May 1-2. Next week, the FISTS Spring Sprint is May 8.The CQ-M International DX Contest and the VOLTA WW RTTY Contest are May 8-9. All dates, unless otherwise stated, are UTC. See the ARRL Contest Branch page, the ARRL Contest Update and the WA7BNM Contest Calendar for more info. Looking for a Special Event station? Be sure to check out the ARRL Special Event Station Web page. Registration remains open through Sunday, May 23, 2010, for these online course sessions beginning on Friday, June 4, 2010: Amateur Radio Emergency Communications Level 1; Antenna Design and Construction; Propagation; Analog Electronics, and Digital Electronics. To learn more, visit the CEP Course Listing page or contact the Continuing Education Program Coordinator.